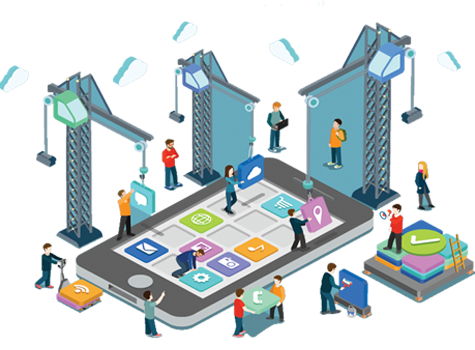 If you are planning for mobile app development then we suggest you to make your own research to understand what could be the best mobile apps development company in Dwarka, Delhi. We are offering you best mobile apps services with high skills and resources. We have a big list of successful mobile apps development projects. Creative Imaginator is a leading mobile app company which deals in mobile apps development, design, and redesign, technologically driven, fast and responsive app for your business. We make all types of mobile apps Android App Development, IOS Compatible apps, Hybrid Apps and Native apps. Our team is perfect combination of talent, professionals and experience. We are not only focused on the app development but also able for its maintenance. Our services include testing, integration, security, quality assurance, and continuous ongoing management of content and specialized engineering capabilities across platforms. Over the year we have developed and design 100+ mobile apps for our clients. We believe in innovation and you can find it in our work. Our Apps design is attractive, stylish but you can use it easily that’s the big reason of our higher performance.